Why Does Dell's Ubuntu-Powered XPS 13 Cost More Than Its Windows Equivalent? 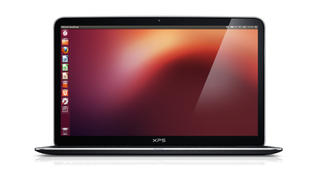 Dell's Ubuntu-powered XPS 13, codenamed Project Sputnik, started life as an internal R&D project. Now it's grown up and is available to buy online—but why does it cost more than a Windows equivalent? The computer now takes the name XPS 13 Developer Edition, and comes with a Precise Pangolin Ubuntu build pre-installed along with a special raft of drivers to make sure it works with as many peripherals as possible. The hardware is similar to other XPS 13 models: either an Intel i5 or i7 Ivy Bridge CPU, 8GB of RAM and a 256 GB SATA III SSD, so it should run super-quick with that Ubuntu install.